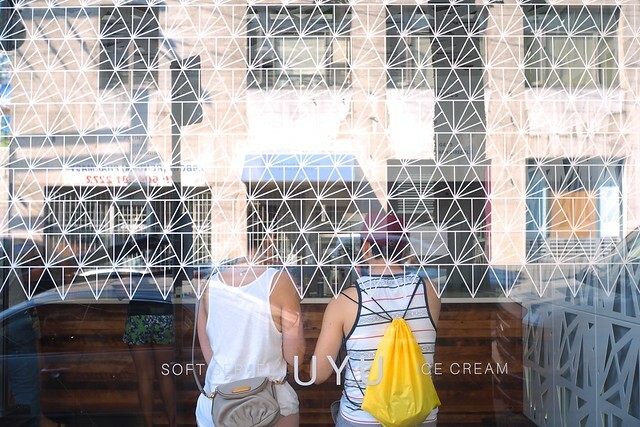 Gastown—UYU Ice Cream, Abbott Street's newest ice cream parlour is now open and serving organic soft serve made from fresh ingredients. 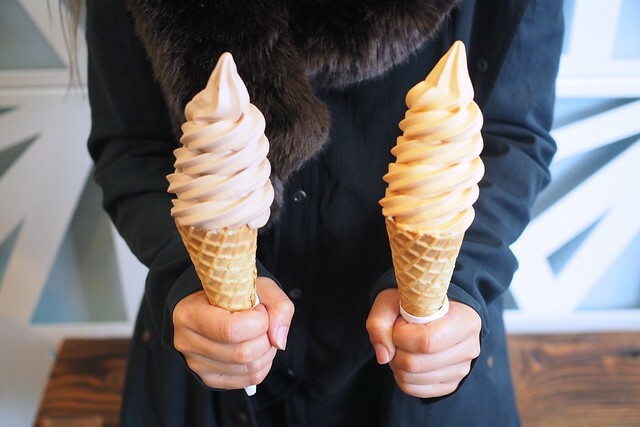 "Uyu" means "ice cream" in Korean as they're bringing more of Southeast Asia's dessert culture to Vancouver. I was immediately taken with the standard original milk flavour and its light creaminess and rich flavour. The first week special Belgian chocolate was intensely flavourful (almost too much) with tons of decadent chocolate notes in a smooth package. However, it was the Vietnamese coffee flavour (with caramel drizzle, above) that had me. I grew up on cà phê sữa đá and really enjoyed the mild but refreshing coffee taste. 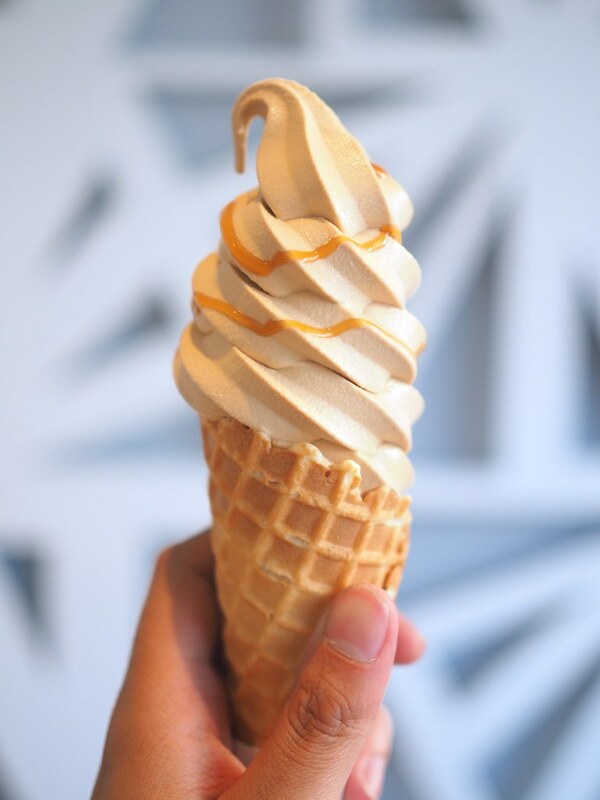 Vancouver's diverse ice cream scene continues to grow and evolve from gelato to gourmet/artisanal, frozen yogurt, and now soft serve. UYU's product is something I can easily see enjoying as a treat frequently. 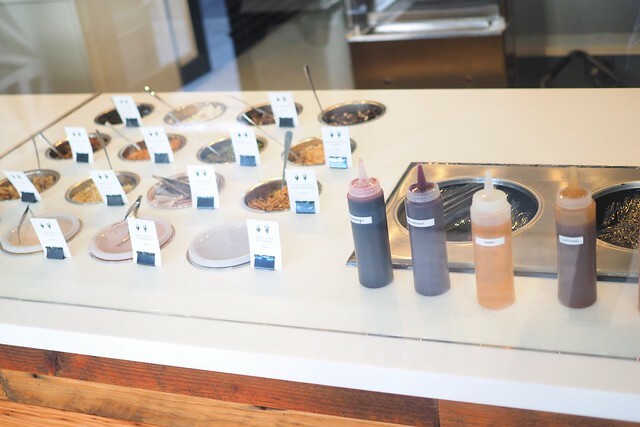 I look forward to their rotating weekly flavours. Update: Both the chocolate raspberry and Thai tea weekly special flavours were quite tasty. The former had a light fruitiness to its chocolate flavour while the the subtle tea hints of the latter were very refreshing and delicious.